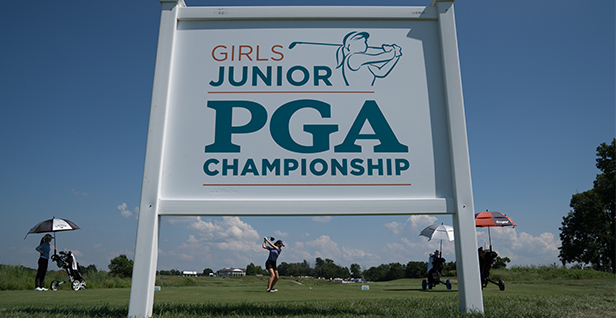 Louisville, Kentucky – Brooke Boardman and Anna Jensen both missed the 36-hole cut at the 43rd Girls PGA Junior Championship at the Kearny Hill Links Golf Course on Tuesday. Following a 3-over-par 75 in the first round, Boardman carded a 5-over-par 77 in the second round. The 17-year-old tallied a tournament total of three birdies and 20 pars. Boardman is the 43rd Iowa Girls PGA Junior Champion. Jensen followed her first round 82 with a 14-over-par 86. Jensen carded 17 pars over two days including three-in-a-row on Nos 2-4 in round one, and five-in-a-row on Nos. 1-5 in the second round. Jensen finished in third place at the 43rd Iowa Girls PGA Championship. Congratulations to both Brooke and Anna on their finishes at the 43rd Iowa Girls PGA Junior Championship, and on representing the Iowa PGA on a national level.